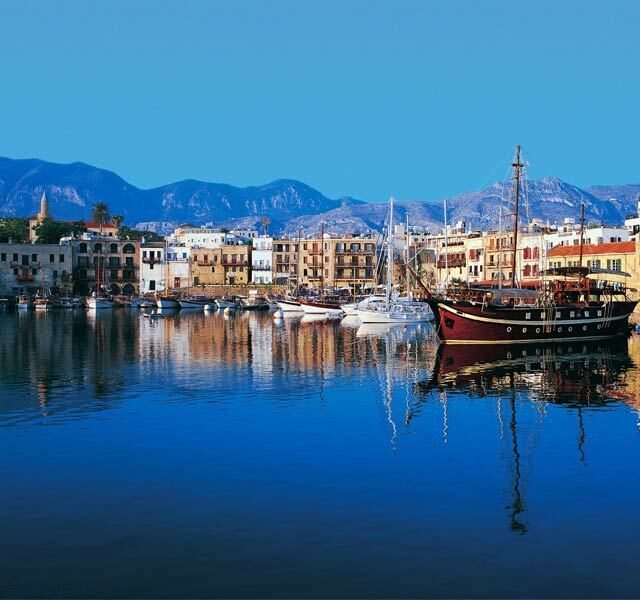 The picturesque harbour is described as one of the most beautiful in the world. 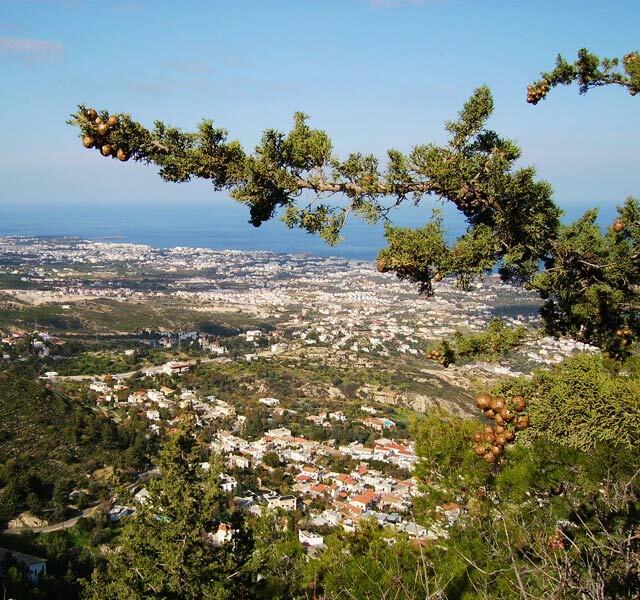 Dominated by the castle, which in its present form was constructed during the Venetian period, it is quite simply the “Jewel in the Crown of North Cyprus”. 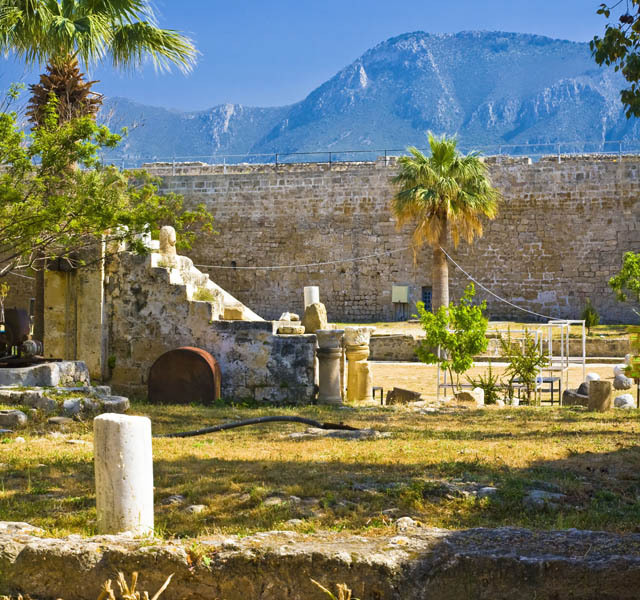 The town of Kyrenia was founded probably in the first millennium BC and was one of the early city kingdoms whose rulers governed the island. Its central position on the northern coastline was perfect for trading with the countries to the east and what is now Turkey to the north. With the southern coast of Anatolia only forty miles away cargo vessels could make the Mediterranean crossing frequently and an anchorage has existed here from earliest times. The picturesque harbour is described as one of the most beautiful in the world. 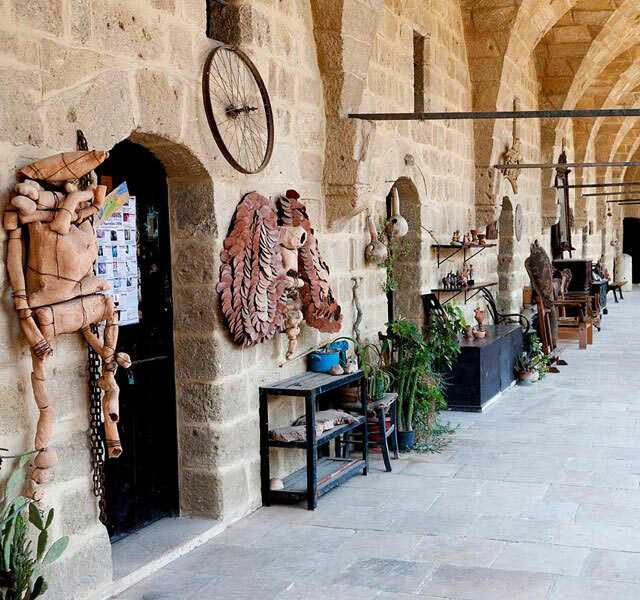 Dominated by the castle, which in its present form was constructed during the Venetian period, it is quite simply the “Jewel in the Crown of North Cyprus”. The cafes and bars that line the harbour were once carob warehouses, and where trading vessels once moored there are now pleasure craft and gulets offering coastal cruises. 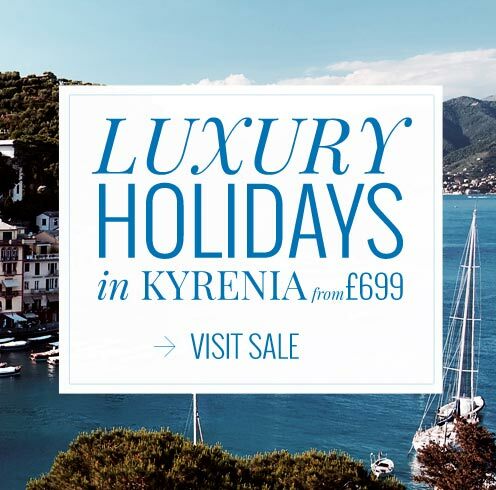 At night when the lights twinkle on the water this is a magical place to sit and enjoy a leisurely dinner of mezze and locally caught fish accompanied by a traditi tional brandy sour. The development of the castle and town gathered momentum under the Roman Empire, when the harbour was protected by a shallow breakwater. 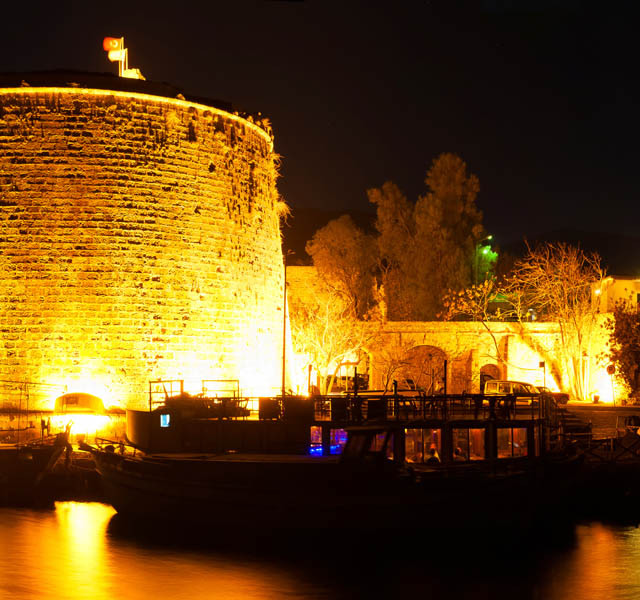 Under Byzantine rule a fortress was built and the town was encircled with defensive walls. 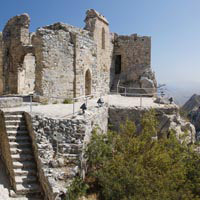 The remnants of Byzantine construction can be seen within the castle and the south-west tower remains virtually intact, though somewhat reduced in height, and can be found close to the town centre. 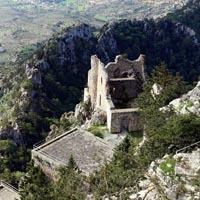 When Richard the Lionheart conquered Cyprus, he leased the island to the Knights Templar, though their tenure was short. The realm was then given to the exiled Kings of Jerusalem. This ruling Lusignan family would control the land for a period of three hundred years during which time they carried out extensive building operations. One such was to increase the strength and size of the harbour fortress, turning it into part palace, part prison, part store house with wharf buildings and part safe haven into which the populace could retreat if under threat from an invading force. Externally, only the north-east tower of Lusignan construction is visible. The massive walls and bastions that now make up the outer defences were created under Venetian rule and have changed little in the ensuing four hundred years. 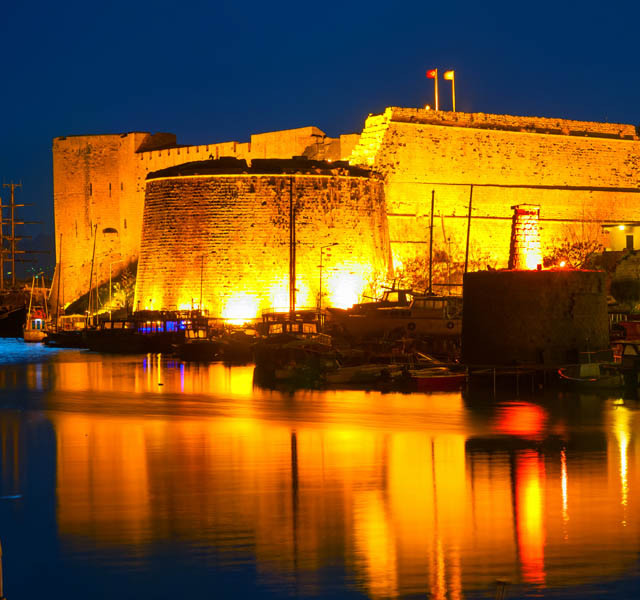 The reason for the remarkably intact state of the castle is quite simple, when the Ottomans were conquering the land in 1570, Kyrenia capitulated without firing a shot, so the town, its citizens and the castle were spared. It is quite possible to spend a whole day in the castle, first seeking out the hidden Byzantine church that was originally outside the fortress walls and is now very firmly within them, then visit the rather unpleasant dungeons and torture chambers. 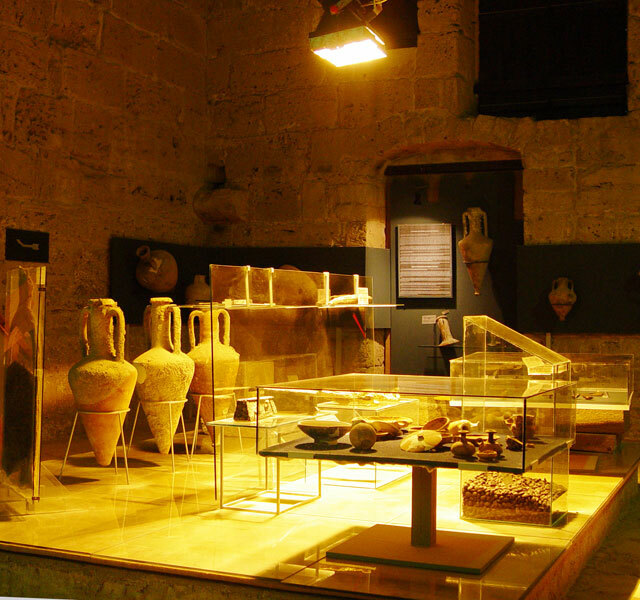 There is the shipwreck museum containing the oldest wreck ever raised from the sea bed, and many rooms laid out in a series of tableaux representing Cyprus life and customs throughout the ages. Steps lead down into the towers guarding the corners of the fortress and these too contain effigies and weapons from the island’s defensive past. 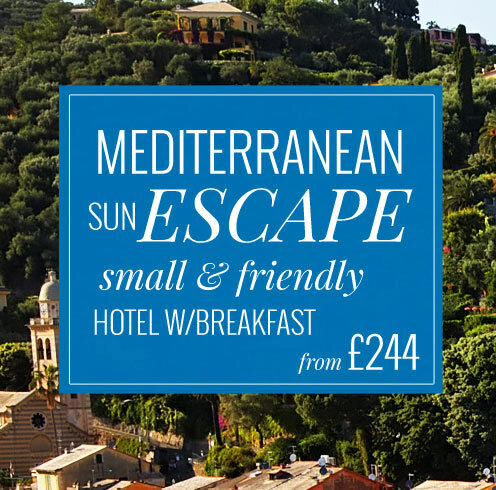 A walk along the top of the castle walls and to the battlements of the north-east tower gives an idea of what a Venetian soldier would have seen while on watch and from the north-west tower there is the most magnificent view of the harbour.